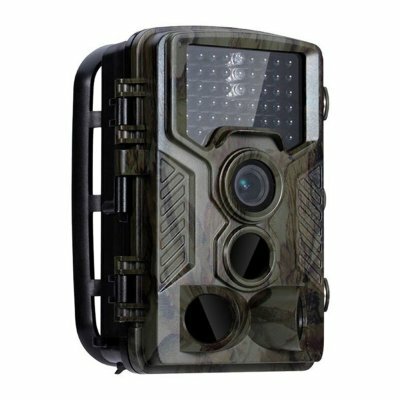 Successfully Added Hunting Trail Camera HD 1080P 12MP IR Wildlife Scouting Cam with Night Vision to your Shopping Cart. HD 1080P resolution offers you high clear images and videos. Has 42 IR LEDs, allowing you to take clear photos,video, no worry about the weak light even at dark night. The motion sensor can detect any movement when they pass by in the super long detection range up to 20m / 65 feet. IP56 protection grade, effectively prevent rain, dust and insects from entering the camera. Camouflage shell not only ensures strong concealment effect and prevent exposure, but also give your camera a cool look.